There are only so many times children can be asked to sit throughThe NutcrackerorA Christmas Carol: The Musicalduring the holiday season. As an alternative to this standard holiday fare, Salt Lake Acting Co. (SLAC) presentsPinkalicious: A Musicalas its 10th annual children's production. Based on the children's book of the same name,Pinkaliciousfollows Pinkalicious Pinkerton, a girl who eats so many pink cupcakes that she turns pink. With the help of family, a doctor and friends, she learns the importance of eating healthy and of being herself. 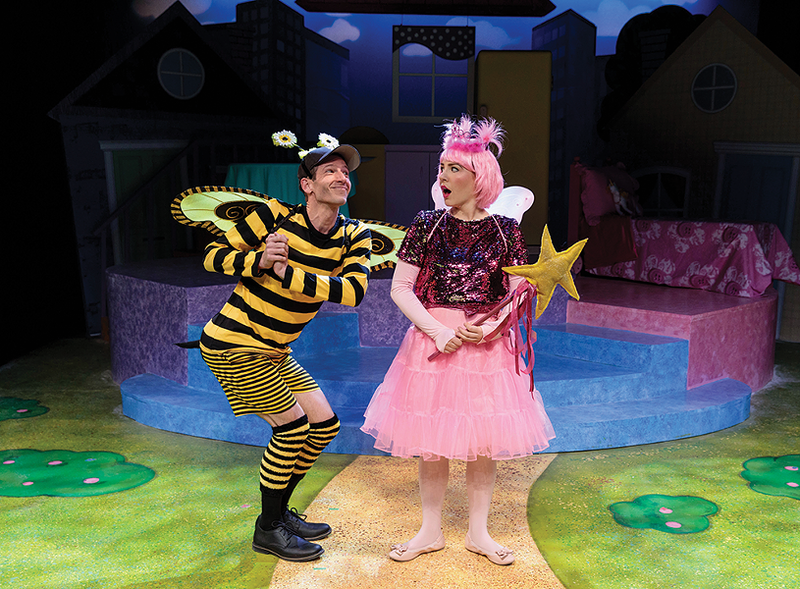 This performance is targeted toward kingergarten to second-grade students, particularly those from underserved schools who do not have easy access to arts education or professional theater productions. Cynthia Fleming, SLAC's executive artistic director, says student outreach through their theater program helps improve students' academic and personal lives. "Personally, I've seen theater attendance build confidence in the young students who pass through our doors each year," Fleming says. "Theater can transcend socioeconomic barriers to truly empower our entire community, as long as we're mindful to be inclusive, which is a huge priority for my team at SLAC." There are beloved characters, and there are beloved holiday shows. But it's not always the case that those two ideas overlap. And for all the nostalgic quality of seeing a familiar favorite with loved ones at this time of year, you might still long for a sense of discovery. 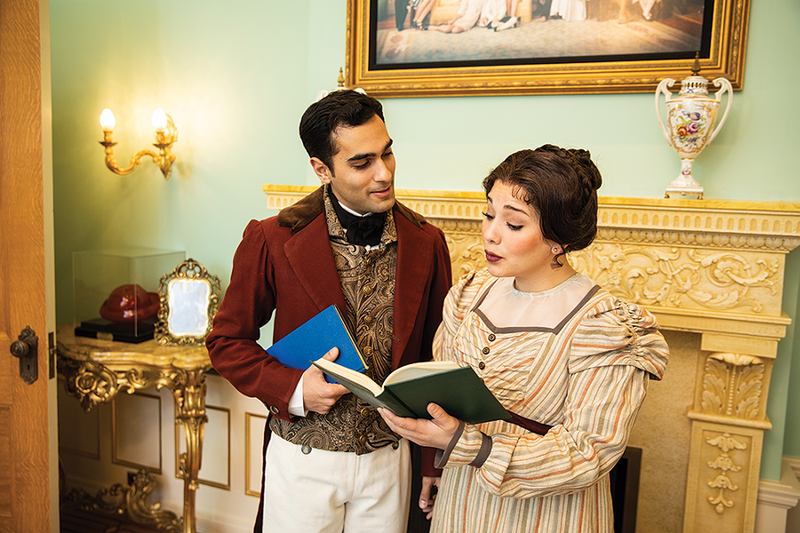 It was an attempt to reconcile those two ideas that inspired writers Lauren Gunderson and Margot Melcon to come up with the concept for Miss Bennet: Christmas at Pemberley while they were road-tripping together from Northern California to Oregon. "What the American theatre really needed was a new holiday play, and a different kind of holiday play," Melcon said in a 2017 interview with American Theatre magazine. "Part of the reason so many of the holiday shows are done over and over again is because there is a sense of familiarity, and there are beloved characters ... What characters are more beloved than Jane Austen characters?" 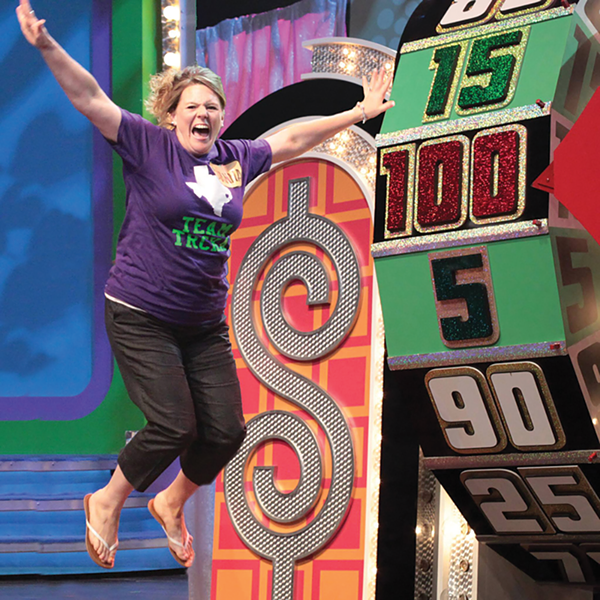 As one of the most popular television game shows ever to hit the airwaves, The Price Is Right is not only an institution, but a program that's literally become a part of the American vernacular. "Come on down" is more than simply an invitation to play and participate; it's a communal come-on that's hard to resist. Created by producers Mark Goodson, Bill Todman and Bob Stewart, The Price Is Right debuted on CBS on Sept. 4, 1972, and has remained an afternoon staple ever since. Hosted by Bob Barker until his retirement, it has featured comedian Drew Carey as the amiable emcee since 2006. Likewise, audiences' enthusiasm for guessing the correct price for awesome prizes remains as enthusiastic as ever. Described by TV Guide as "the greatest game show of all time," it has aired more than 8,000 episodes, given away more than $12 million in cash and prizes, and just initiated its 47th season, making it one of the longest-running network programs in television history. That makes this roadshow version all the more enticing. Hosted by Emmy-winner and E! Entertainment Television regular Todd Newton, it offers locals an opportunity to watch the action, and, if you like, play "Plinko," "Cliffhangers" and "The Big Wheel" as well. Guests 18 and over can visit the registration area three hours before showtime for a chance to participate through random drawings. It's little wonder that in today's increasingly turbulent world, J.M. Barrie's wistful tale of escape and eternal youth still plucks so tenderly at the heartstrings. While children might marvel at how a group of Lost Boys, under the fearless leadership of their hero Peter Pan, dares to defy their adults, the story also finds grown-ups pining for long gone days of innocence, when life was the adventure they originally envisioned. Finding Neverland is the fanciful story of how Barrie's original inspiration culminated in one of the most beloved tales of all time. Taking its cue from the Academy Award-winning film and hailed by critics on its Broadway bow, it offers a behind-the-scenes story that's as enticing as Barrie's original book itself. 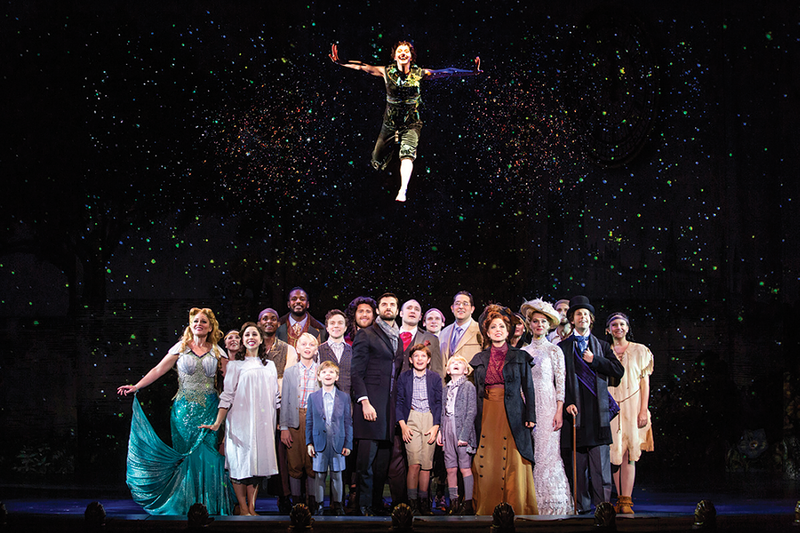 "Finding Neverland appeals to all generations," tour director Mia Walker says via email. "It shows us the power of the imagination and the importance of maintaining our ability to believe—to see the world through the eyes of a child even when we have grown up." Walker's read is accurate indeed, though cynics and skeptics might dismiss such sentiments when viewed through the harsh glare of today's distrust and division. Nevertheless, Walker is right.